Ethiopia celebrated Easter a week later than we do here in the U.S. (Orthodox Easter). This is a special day in Ethiopia and one of the most celebrated holidays in their country. 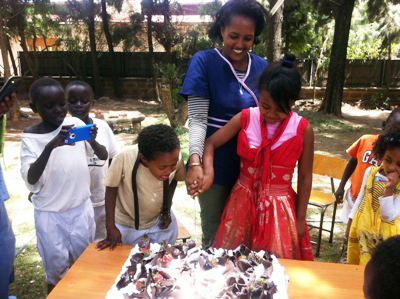 We are thankful for our in-country staff who always celebrate with our kids, and even deliver food to other orphanages in Ethiopia! We wanted to share some of the photos of their Easter celebration. Please keep the children and staff in your prayers!